keeping in mind the latest trend of young generation we keep on changing our Products and designs on regular basis which have always attract our customers to our unique designs. we are dealing in following Products.. party shirts for men, party wear for men, party wear shirts for men, mens party wear shirts, men party wear, party wear for men online shopping, party wear for mens, casual party wear for men, mens shirts wholesale, wholesale shirts for men, Mens shirts wholesale, wholesale formal shirts, branded shirts wholesale in surat, Gujarat , men shirts wholesale, district made t shirts wholesale, designer shirts wholesale, branded shirts wholesale, wholesale shirt manufacturers, cotton shirts wholesale in Surat, Gujarat. Welcome to 2017 with the new year 2017 its time to get trendy with our unique collection of #Designer casual Shirts#. 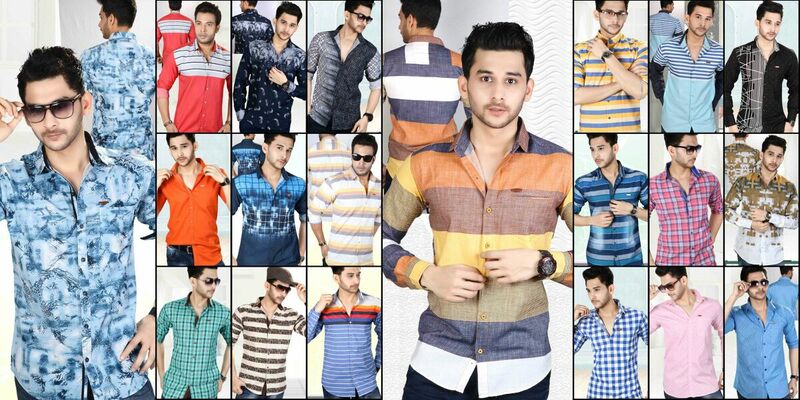 We are T-zerr.com manufacturer of #Casual Shirts In Surat#. visit our website for latest collection or call Us for more details. We are #Casual Shirts Manufacturer In Surat# and we have our hugh Client base all over India. Mens Casual Shirts Manufacturer When it comes to fashion it's all about your outfit and color combination so it's realy important that we dress ourself in color combination which suits our personality. So presenting latest unique designs of trendy casual shirts by Tzerr at best range. We are engaged in manufacturing and supplying wide range of designer casual shirt and covering major cities of india. So if you are one of those who always beliefs in getting best out of fashion trends join your hands with Tzerr and sell our products at your showroom and gets best return it terms of profit. So what are you waiting for let's join our hands.